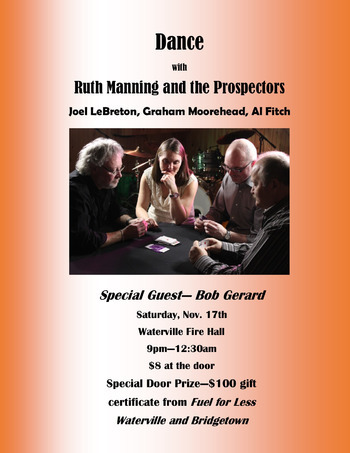 There will be dance with music by Ruth Manning and the Prospectors. There will be a door prize of $100 gift certificate from Fuel for Less in Waterville and Bridgetown. Admission is $8 at the door.